Happy Friday! This is my last post from our trip, and I wore a combination of some of my favorite pieces in one outfit. 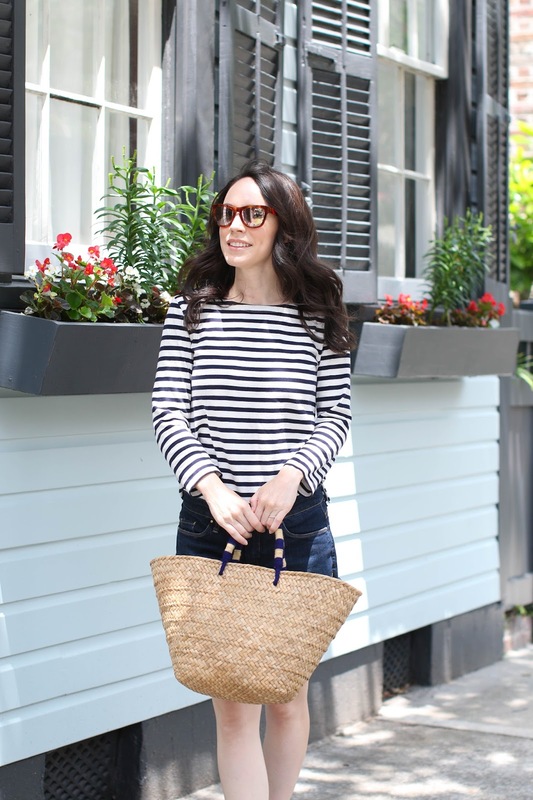 I adore this striped top from J. 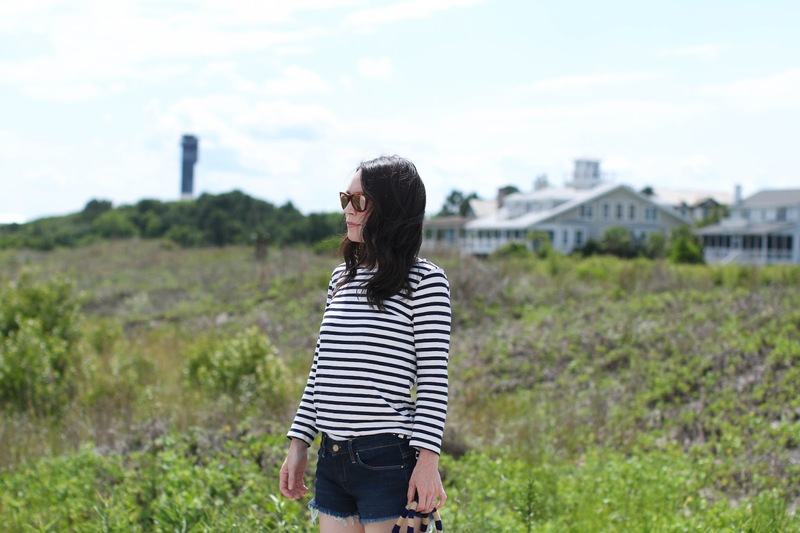 Crew and wear it a ton, as well as these denim cut-offs which I purchased a few years ago and they are still one of the first pair of shorts I grab when I want to put together a casual look. 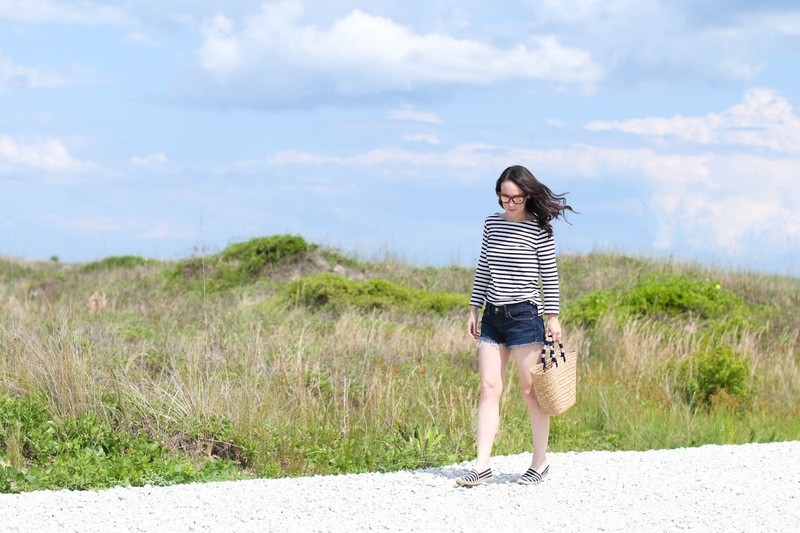 And of course, my Soludos were perfect for our quick beach stroll and are surprisingly comfortable after walking around all day. Stripes can be an easy way to make a simple outfit look more interesting - and mixing them can be fun as well. 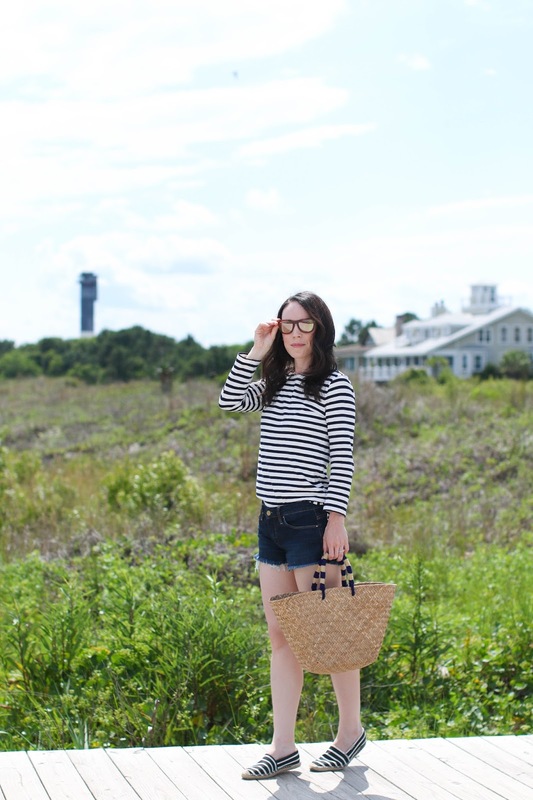 I linked up a few great striped shirt selections for summer - and I can see all of them dressed down with jeans or shorts, or dressed up with a cute skirt. The humidity is really beginning to intensify and I am hating it! Ugh! I am trying to search through all my hair products to try and find something to tame the mane. Thinking about picking this up to help deal with the frizz, but if you have any suggestions of products I should try - let me know in the comments below!